Juvederm Voluma® XC is an injectable cosmetic filler gel containing hyaluronic acid and a small percentage of lidocaine that is meant to help ease any discomfort. Voluma is much thicker and smoother in consistency, and is designed specifically to add volume in the cheek area to restore the “apples” in the cheeks. Voluma comes from the Restylane family of fillers and is FDA-approved. Unretouched photos of paid model taken 1 month after treatment. A total of 2.6ml of Juvederm Voluma XC was injected into zygomatic arch, anteromedial cheek, and submalar region. In the clinical trial, the total volume injected ranged from 1.2ml to 13.9ml with a median of 6.6ml, to achieve optimal correction for all 3 subregions. Image courtesy of Allergan. Optional - Submit up to four photos of your problem areas, along with a description of the area (i.e. stretch marks on stomach). All photos are for internal evaluation only, and your privacy will be protected. Your submitted information and images, as well as all subsequent correspondence do not constitute a doctor-patient relationship. Virtual consultation is meant for preliminary evaluation, inquiry, and appointment scheduling only. Virtual consultation is not a substitute for an in-person, in-office physical examination by the doctor(s) or any medical personnel. A formal consultation can be scheduled after the submission of your information, by contact through phone, or through correspondence. A formal consultation only takes place only within our offices with a physical exam by the doctor(s), or through a one-on-one video consultation through Skype. Your information and submitted photos will be used for your personal medical file only, and will not be used or sold for any promotional purposes, including our own websites, videos, or any third party. Given that the internet and email have potential security issues, we are not liable for any breach that gives an unauthorized party access to your information and images. Prospective patients must disclose any medical information from previous consultations or diagnoses from other physicians. Any withheld information on current or past medical conditions that may affect our prescribed treatments and procedures frees Prasad Cosmetic Surgery from any liability. Should you choose to become a Prasad Cosmetic Surgery patient, the treatment does not claim to universally benefit all patients, and treatment results will vary among individual patients. No guarantees of effectiveness are claimed or promised by Prasad Cosmetic Surgery. Juvederm Voluma® XC was created with Juvederm’s VYCROSS™ technology, which means that it consists of 10% high-molecular weight and 90% low-molecular-weight hyaluronic acid, as opposed to the 100% high-molecular-weight of other hyaluronic fillers. The benefit of fillers created with VYCROSS™ technology is that they are much smoother in consistency, therefore easier to inject into the skin, and is less painful. Since it is smoother, it also produces more natural-looking results. One of the more distinctive signs of youthfulness can be seen in features such as the “apples of the cheeks”, “baby fat” or “cherub cheeks”. This cheek fullness is immediately noticed as a sign of youth, even before wrinkles are perceived by others. 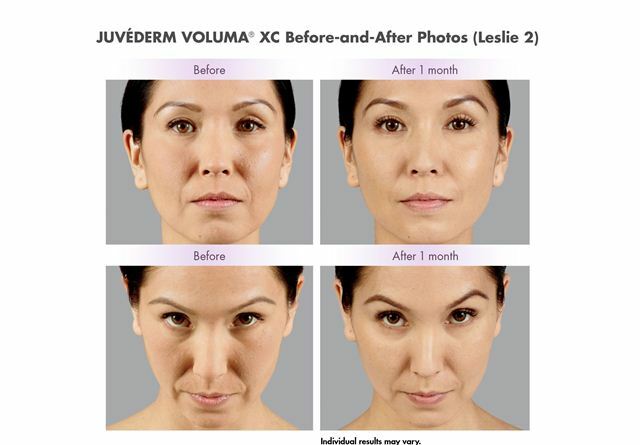 While other hyaluronic acid fillers, including Juvederm XC (from the same company), are designed for volume loss for various areas of the face like the corners of the mouth, the under eye area, etc., Voluma is designed specifically to add youthful volume to the upper cheek and submalar areas. Voluma is designed to be injected at a much deeper level than other fillers—deep within the dermis and right on top of the facial bones or cheekbones. Since Voluma is thicker and heavier in consistency, it allows it to sit deeper in the skin and stay in place, and gives a lovely volumizing and lifting effect. Less viscous fillers placed closer to the skin surface need to be lighter as to not weigh the skin down and sag. Unretouched photos of paid model taken 1 month after treatment. A total of 4.0ml of Juvederm Voluma XC was injected into the zygomatic arch, anteromedial cheek, and submalar region. Voluma cannot be used around the eyes, on the lips or along the nasolabial folds, as these areas need fillers that are less bulky and more flexible to smoothly fill out the contours of one’s face naturally. Hyaluronic Acid (HA), of which most cosmetic fillers in the market is made up of, is a naturally-occurring substance in the body, making it safe for cosmetic use. The substance is also quite flexible—in a case wherein hyaluronic acid administration is overdone, the material can be dissolved with the enzyme Hyaluronidase. In terms of longevity, Voluma is quite impressive. Since this type of filler has a thicker viscosity than other hyaluronic acid fillers, it is absorbed more slowly by the body, allowing you to retain that youthful lift for much longer. Less viscous hyaluronic acid fillers like Juvederm XC can last about year depending on the individual, however, the more full-bodied Voluma can last about 18 months to two years. 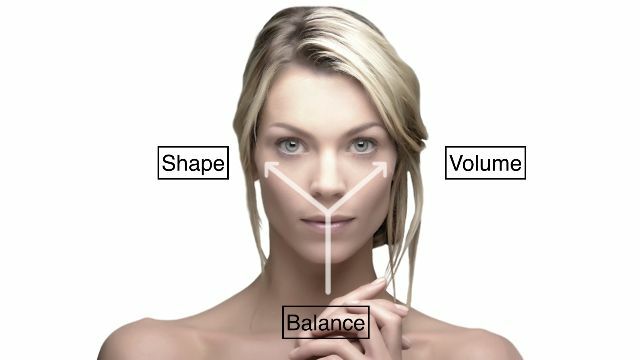 The Y Lift is based on the principle of “structural volumizing”, which refers to the renewal of lost volume deep within the tissues of the face, near the facial bones, for the purpose of restoring a youthful facial contour. Since Juvederm Voluma® XC is one of the thicker fillers whose main role is to restore cheek volume, it is an important component of the Y-Lift procedure in terms of adding volume and lift to the cheek area. The Y Lift® enables thicker fillers like Voluma to be placed deeper in the face (near the bone) so more volume can be supported, as opposed to near the skin layer where fillers can weigh it down. 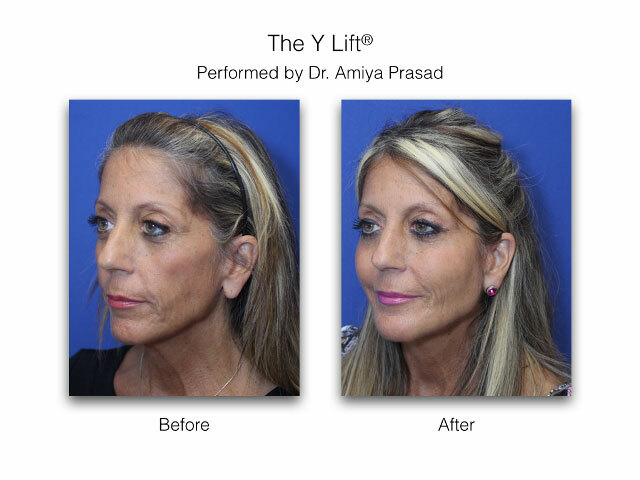 These are the results of the Y Lift® performed by Dr. Amiya Prasad. Keep in mind, however, that the effectivity of fillers has little value unless they are administered at the hands of an experienced cosmetic surgeon. As an Oculofacial plastic surgeon with over 20 years of experience, Dr. Amiya Prasad has come to understand that cosmetic procedures such as this require an artistic touch and an eye for detail. The technique and manner in which such procedures are executed play as great a role as the products themselves, and without skillful manipulation, even the finest products can be rendered ineffective. If you have any cosmetic concerns or questions about this type of treatment, Dr. Amiya Prasad and his staff are ready and available to listen or help you develop a treatment plan that is best suited for you and your needs. Simply set a consultation appointment with us today at our Manhattan office at (212) 265-8877 or our Garden City, Long Island office at (516) 742-4636. Our lines are open 24 hours a day, 7 days a week.